Krispy Kreme welcomes another addition to its growing outlets as it unveils its newest store in SM CDO Downtown Premiere. This is the 4th store in Cagayan de Oro, following Centrio Mall, SM CDO Uptown and the Hot Light store in Limketkai. Krispy Kreme SM CDO Downtown Premiere opened their doors yesterday, August 21, 2017. With the opening of its new store, Krispy Kreme brings a month-long celebration of everyday moments as it offers a lineup of delightful treats. Krispy Kreme combined forces with the Ghirardelli Chocolate Company to create the deliciously satisfying Ultimate Chocolate Chiller. This cool quencher is made with unique premium, Ghirardelli chocolate doused with milk and whipped cream, sprinkled lightly with Ghirardelli chocolate chips and drizzled in rich caramel. It’s definitely a crave-worthy flavor experience that chocolate enthusiasts wouldn’t want to miss. Krispy Kreme also highlights a well-loved doughnut flavor when it released the Kit Kat Green Tea doughnut. Their newest doughnut flavor has already made waves for its doughnut fans, now making it a mainstay offering. Apart from these sweet treats, August is a special month for Cagayan de Oro as it celebrates the annual Higalaay Festival. Krispy Kreme joins the CDO community in celebration of the feast day of St. Augustine as it throws another delicious treat alongside opening its new store. Krispy Kreme is offering 3 Original Glazed doughnuts and any 3 Cake doughnuts for only P150 in all stores in Cagayan De Oro from August 25 to 28. Doughnut lovers are sure to get excited for more craveable melt-in-your-mouth moments with Krispy Kreme. These are just some of the many things to look forward to as Krispy Kreme opens its newest store in SM CDO Downtown Premiere. The brand continues to bring a delightful experience to its customers through its indulgent doughnuts, great-tasting beverages, and exciting creations. Discover your own #KrispyKremeMoment and visit their newest store at the Ground Floor, SM CDO Downtown Premiere. Krispy Kreme is an international retailer of premium-quality sweet treats, including its signature Original Glazed® doughnut. With a flagship store in Bonifacio High Street in Fort Bonifacio, Taguig City, the company has offered the highest-quality doughnuts and great-tasting coffee in the country since 2006. 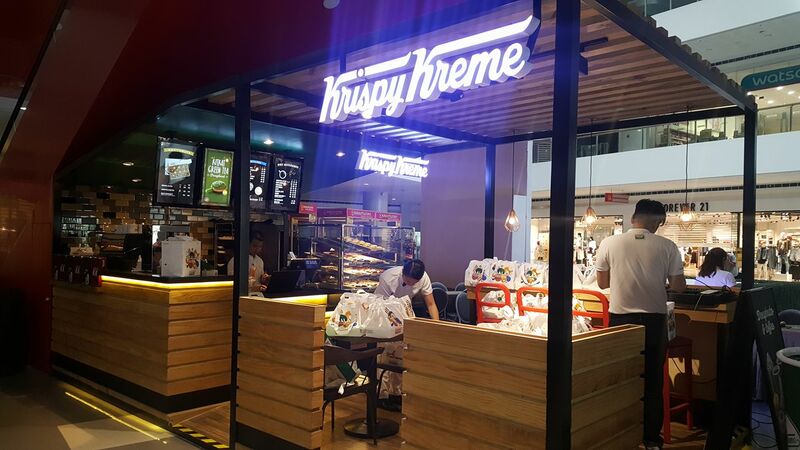 Today, Krispy Kreme has outlets in more than 70 different locations nationwide, with Hot Light stores in Bonifacio High Street, SM Mall of Asia, Greenhills Shopping Center, Baguio, Evia, Cebu IT Park, Bacolod, Limketkai Mall, and The Annex at SM City Davao. To get more information and updates about the brand and its products, you may become a friend of Krispy Kreme by visiting www.krispykreme.com.ph or by liking Krispy Kreme Philippines on Facebook and @krispykremeph on Instagram. Max’s Group, Inc. (MGI), a company that takes pride in its passion to delight its customers and genuine love for its brands, is the Philippines’ largest operator in the casual dining segment. MGI is committed to building loved Filipino brands and it is currently growing its network of over 500 stores in the country and more than 30 international stores in the USA, Canada, Asia Pacific and Middle East. Its family of restaurants include Max’s Restaurant, Max’s Corner Bakery, Pancake House, Yellow Cab Pizza, Krispy Kreme, Jamba Juice Teriyaki Boy, Dencio’s, Kabisera, Sizzlin’ Steak, Le Coeur de France, Maple and Singkit. The company also operates Meranti Hotel, its maiden venture into the hospitality industry. To know more about Max’s Group, please visit www.maxsgroupinc.com.